If you’re wondering what on earth a tannin is, you’re not alone. Tannins are not something new but are a recent addition to water treatment technology. If you have yellow or brown water or annoying staining on laundry and/or toilet fixtures, tannins may be the cause. In today’s post I’m going to cover what tannins are plus recommend some water filtration systems to help you tackle this water issue. Tannin is most frequently caused by rotting organic matter in the water table. It’s also caused by low hanging branches, dead leaves and trees in a water source like a lake or river. Tannin is basically the color left in water from the leaching of color from organic matter. (Think tea: tannins give black tea it’s distinctive color in fact). The most common identifier of tannins is a yellow or brown color in the water, frequently causes staining, especially on clothing. Tannin is often mistaken for iron since it has common features. Unlike iron (which can be filtered out) tannin is bleached out. To test whether your problem is tannin or iron, here is a simple experiment. If the bleach clears the water in a few minutes then the color is due to tannins. If the water goes darker or find particles in the water that wasn’t there before, the color is caused by iron. Are tannins in water harmful? Put simply, no. Although yellow or brown water is not ascetically pleasing, tannins do not actually pose a serious health issue. 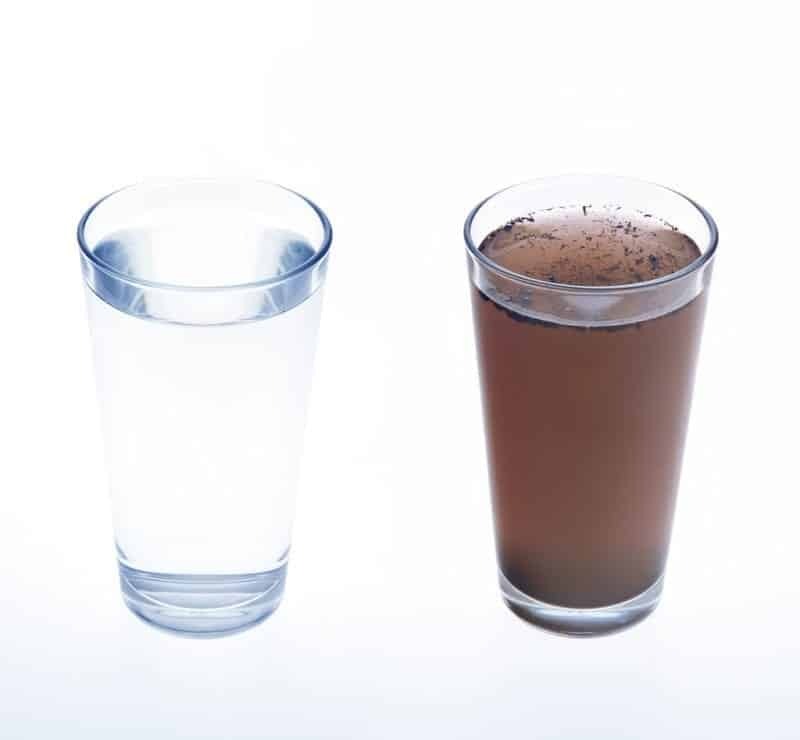 If tannins are present in the water, it could mean your water source is affected by surface water. It also suggests that if tannins can travel easily from surface water to your water source, bacteria can easily travel through as well. Bottom line: test for bacteria in your water as well. How to remove tannins in water? Think you may have tannins in your drinking water? Please contact one of our specialists on 1-800-817-6306 to discuss your water treatment options. This entry was posted in Drinking Water, Health, Water Contaminants. Bookmark the permalink.